We loved our stay in Haad Salad Villa. We booked the bungalow with AC. 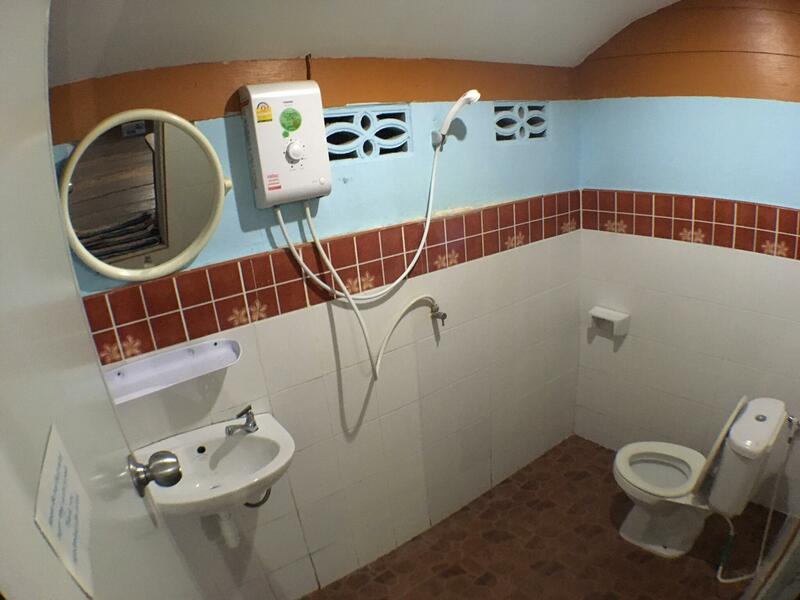 The room was big, the bathroom is very simple but the shower worked very well. All bungalows have a balcony with hammock, a broom and a couple of chairs. Everyday they give you a big bottle of water and you can take bananas for free in the reception. They also offer you a repelente to put in your room. The hotel is right in front of the beach. They have a restaurant that serves good meals with a good price!! Some of the staff were always in a bad mood, but that didn’t disturb us ‘cause we were so happy! If you want a relaxing place, a beautiful beach, good food for a good price, this is the best option! Basic room but you get what you pay for. Great beds, cleaning when you wish, coffee etc in the room. However, this comes with a great great restaurant right on the beach, very helpful staff and just great atmosphere. Would definitely recommend and go again! Our room was nice with a comfortable bed and AC, the room overall looks a bit old but didn't bother us. They have good food in the restaurant, wonderful view of Salad beach, so peaceful and quiet. It's possible to take a nice and long walk to haad yao beach and then continue to secret beach- beautiful! Had a good time here. Don't expect this property to be fancy-schmancy. But it has everything you need. 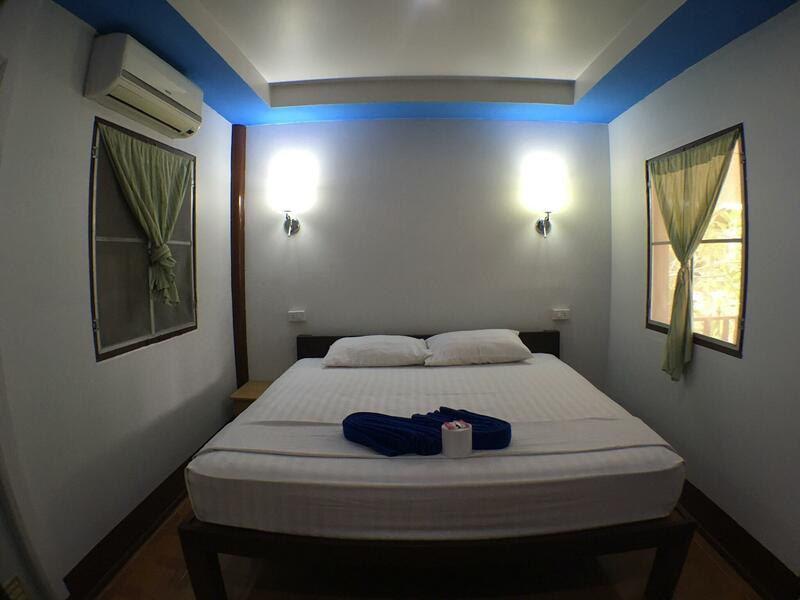 Cozy bungalows with basic amenities - kingsize bed, aircon, fridge, hot water shower. It has a beachside restaurant and a massage booth. Very quiet and peaceful place. Clean and beautiful beach with spectacular sunsets! Defenitely would stay there again! However if You are (un)lucky enough You will find there a lot of Russians with their rather annoying culture of partying (even very late with their kids). Apart from that fact (who can sometimes be crucial to Your mood) a very nice place in a rather quiet area of Kophangan. We had a beachfront room which we loved because you could lie in the hammock on the verandah and enjoy the seaview. 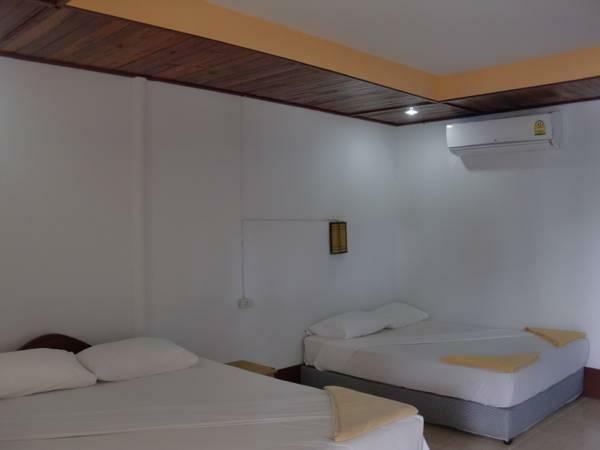 The room is quite basic but with a nice new air conditioner that's really quiet. Even more basic bathroom which is ok but we had 4 nights and the waste basket in there wasn't emptied once - we had to dispose of it after a couple of days and ask for a new bag. That was the only bad thing I can think of. Staff were nice and ladies in reception cannot do enough to help. They organised our taxi/ferry and scooters (cheap). Room didn't include breakfast but that means you get to try a few different places. We stayed in beachfront bungalow. Very nice ceanery, quiet, cool laidback atmosphere. Staff is very polite and helpful. House was simple but clean, in good condition and big enough not to feel uncomfortable with two kids. You definetly get what you paid for and even more. Nice and quiet, I stayed in a garden view bungalow. If you are after a swimming beach, this beach is not, it is good to paddle and sit/float around in when the tide is in. Nice food at restaurant with reasonable prices. The majority of motorbike rental places in Koh Phangan require you to leave your passport with them (I don’t like that) not much choice if you want to tour the island, this hotel doesn’t rent them, but plenty close by, start at 250baht, but haggle for better deal. There is a massage booth right at the beach, nice friendly ladies operating it. Wifi was good, only had a problem once, but back on later. I liked my time here. My bungalow was perfect and had all the conveniences you want traveling- fridge, kettle, warm water, air-con, fan, balcony and hammock. However, be aware that if you are here over full moon time, the price almost doubles which I don't think was worth it. Also, I stayed here for 6 days and never had my bungalow serviced. It didn't bother me too much, but I would have expected something in 6 days. Overall, my time in Haad Salad and at the Villas was the best time of my vacation. this is a great place. You almost see the beach from your bungalow but you are maximum 50 step from it. Quiet beach, good for family. The owner at the reception was very nice, the rest of the staff not so much. They actually all hang out in front of our bungalow... we tried to smile but didn’t get any back! The bungalows are very basic. But with a fridge, kettle and a terrace with chaires it was perfect. The restaurant is also pretty good. You need a scooter to go around though. Enjoy! People working there are super nice and helpful, they can organise anything you need. Restaurant has an awesome food and the view is breathtaking. 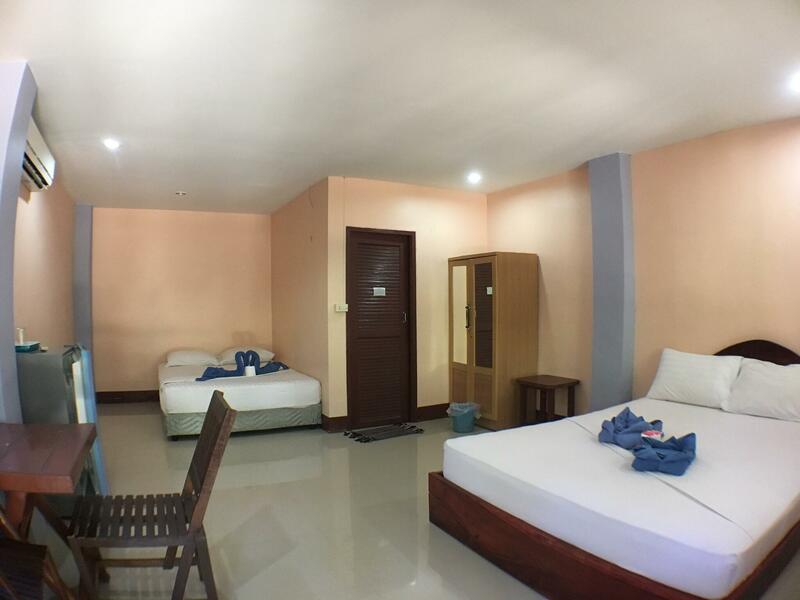 Bungalow is bigger than usual size, clean and nice. Everything was very good but some of the staff at the restaurant were in-personal and looked bored. Great quiet place for relaxation and unwinding. Not as popular or touristy as Hadd Rin (Full Moon Party). Staff speak English and are very helpful. Head to My Way restaurant for a great Thai meal or go to Joe’s bar for a great drink in 20m walking distance. Haad Salad is very basic but it had all we needed. The location is fantastic and the restaurant overlooks the beach. Our first evening there we sat down for dinner and had the opportunity to see the most beautiful sunset. The kids could play on the beach while we waited for the food. Our original room was smaller than I had anticipated so we upgraded to a bungalow overlooking the beach. They were happy to switch us since it was available. When we needed to go into town, they arranged a taxi for us. The beach is family friendly, but extremely quiet. You can walk to both ends quite easily and Haad Salad is toward the middle. The water right in front of Haad Salad is great for swimming (as oppose to one end of the beach where we found it harder because of all the coral). 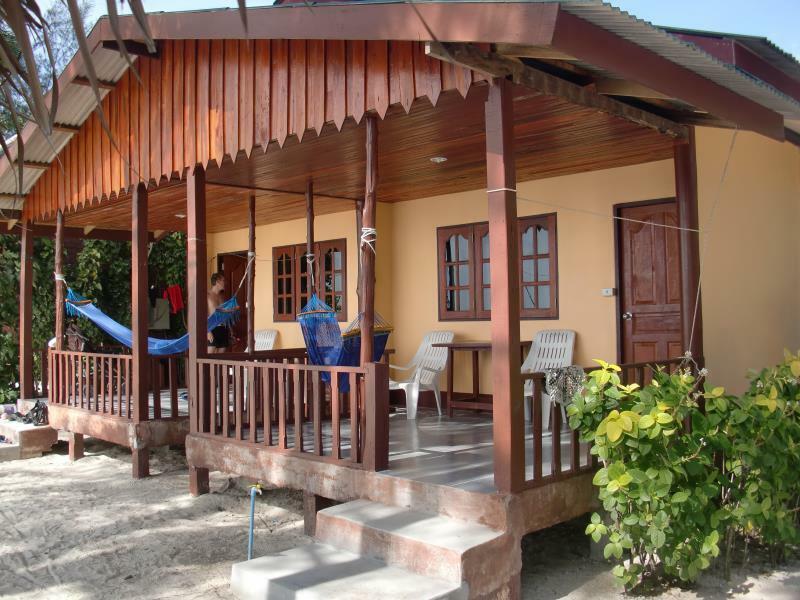 If you are looking for basic bungalows, Haad Salad is a nice quiet place with very friendly staff. This is very chill place,with amazing view,specially beachfront bungalow,where we were. Sunset from the balcony,beach or restaurant is amazing. Stuff is highly friendly,ready to help you or give you some advice. Ask them if you want to rent a bike's. Don't rent at the village's shops. We spent there 5 days. During our staying,tide was very low and in combination with many corals,that was not good place to swimming. But,we were there during low season. Highly recommending! Although I had booked and paid in the web they said that there is no room. Finally they still managed to give me a room. Room was very simple but OK. Location is wonderful at the nice beach. Sometimes they may have too loud music though.